If you’re part of the roughly two percent of the Internet that uses the Opera desktop browser (a perfectly respectable choice, to be sure), congratulations on being different! 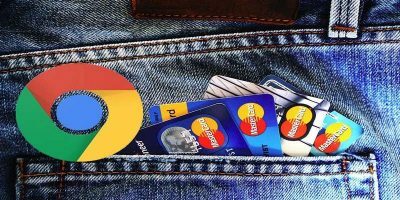 You may have also looked into getting your favorite browser for Android, only to find yourself confronted with three options, each bearing the Opera logo: Opera, Opera Mini, and Opera Touch. Each of these browsers is a legitimate Opera product, but they’re all designed for different audiences and use cases. Their other product on the Play store, “Opera News,” doesn’t do any web browsing at all, just news aggregation. As you might suspect, Opera is their standard flagship product, while Opera Mini is more lightweight. Opera Touch is the newest on the scene and, as the name implies, has been specially designed for use on smartphones. If you’re not sure which one to choose and don’t have the time or energy to download all three and give each one a shot, it’ll probably help to know the major differences. If you like the desktop version of Opera, you’ll probably like this app. 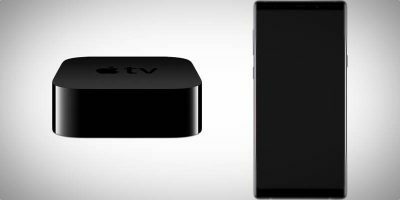 It follows a similar design aesthetic, and most of the features you’ll find in the main product are here as well. 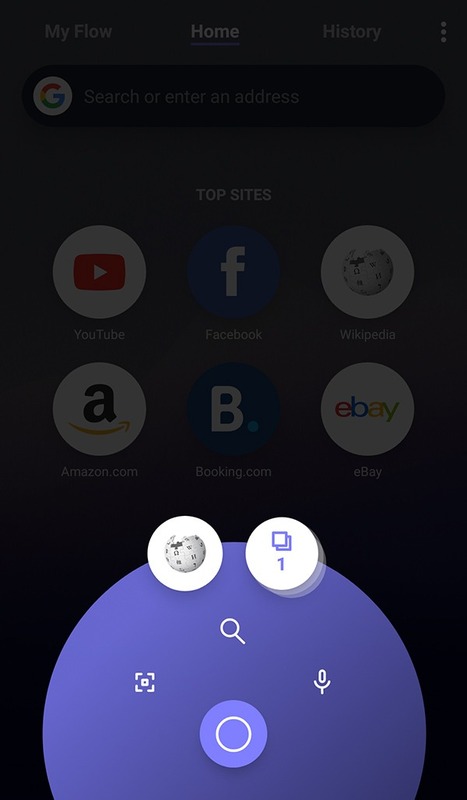 This includes the familiar speed dial (a quick-access list of frequently visited websites) on top and the newer addition of a customized news feed on the bottom where you can read through the news stories Opera thinks you’ll like, though you can customize this as you like. 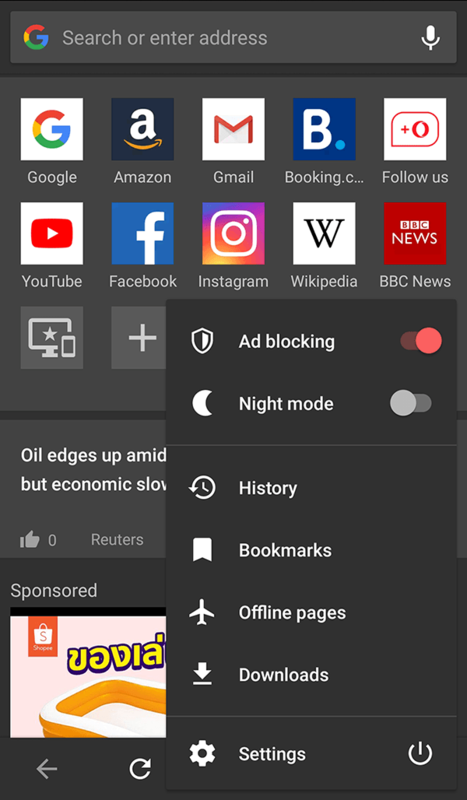 Your standard mobile browser features like incognito mode, night mode, browser sync, and ad-blocking are all here, but Opera also offers some tasty side dishes like a built-in free VPN, a crypto wallet, a data-saving mode (more about that in the Opera Mini section), and a text-wrapping feature to ensure that whenever you zoom in on text, the page is resized to fit into your browser screen. Verdict: a solid all-around browser for Opera fans who want all the features, it’s a good default choice. If you have a good data plan and a relatively modern smartphone, you probably don’t need Opera Mini. 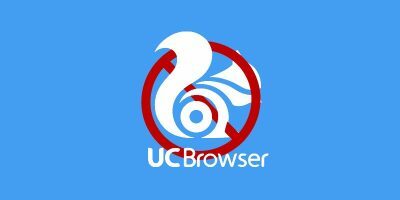 This browser is geared towards those browsing slow connections on underpowered devices. Your request for a website will first go to an Opera server, which will download the page for you, render it, compress it, and send the smaller page to your phone. 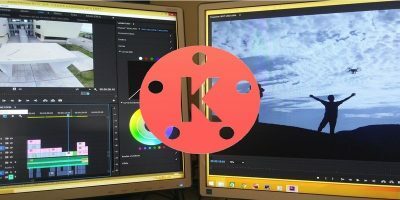 You can even customize exactly how much you want it to compress; it maintains pretty good quality by default, but you can reduce page size (and often quality) by up to ninety percent with “Extreme” mode enabled. 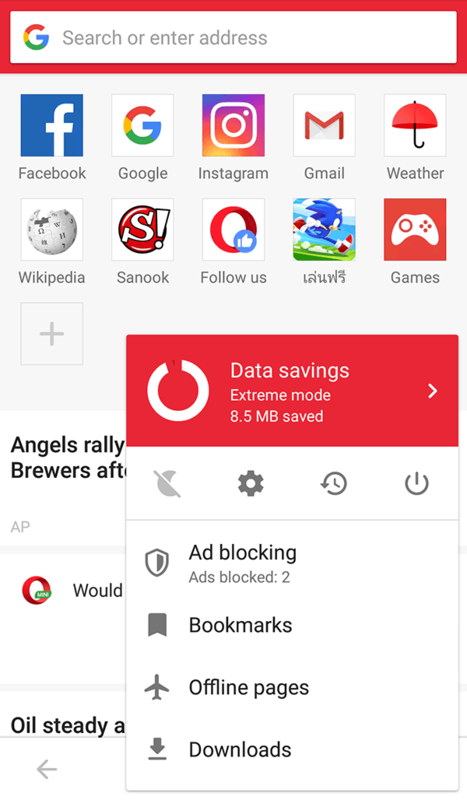 Data saving is also featured in their main mobile browser, but with fewer customization options. 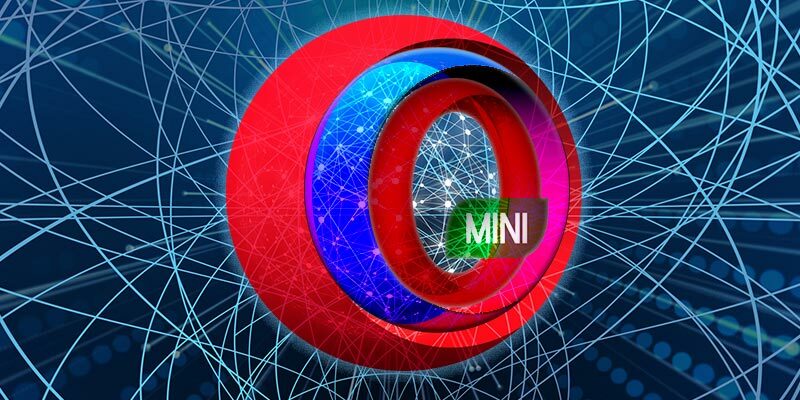 Compared to Opera’s main offering, Mini doesn’t come up completely short on features. It includes the basics, like speed dial, the news feed, incognito mode, ad-blocking, night mode, sync, etc. The other extras, such as the VPN and crypto wallet, have been chopped in favor of size and performance, though. Verdict: if you’re on a limited data plan, have a bad connection, or have a lot of performance issues with your phone, Opera Mini is a great option. Otherwise, go with one of the others. Opera Touch is the newest mobile browser launched by the company, and it’s also the most different. 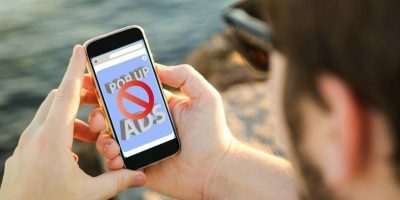 It’s designed on the principle that you should be able to browse the Internet with one hand, and it’s marketed towards busy users who just want to get where they’re going on the Internet. Several essential navigation buttons have been moved to the bottom in the form of the “Fast Action Button.” Pressing and holding the button lets you see your tabs, search, voice search, or scan a QR code. Several of the other buttons are still near the top, though, so this works best for basic browsing. It also comes with a browser sync feature called “Flow,” which allows you to connect your browser across devices without setting up an account – you only need to scan a QR code. 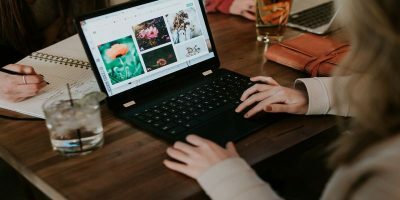 You can even send links and notes to your connected devices from within the browser. Touch also comes with ad-blocking, a dark theme, speed dial, and cryptocurrency mining protection. Several other features we’ve come to expect from Opera are missing right now, though: there’s no incognito mode, no data saving mode, no VPN, no crypto wallet, no news feed, et cetera. In many ways it’s a totally different browser, and it might actually work best as an “on-the-go” complement to the main Opera mobile browser. Verdict: it’s shiny, very usable, but not your granddaddy’s Opera. It might be best if used side by side with Opera. Opera: a great all-around mobile browser with a significantly longer list of features than most of its competitors. Among the three, this is your best default option. Opera Mini: basically just like Opera, but with fewer features and more powerful compression. If your top priority is saving storage space and/or data, go for this. Opera Touch: this one is not like the others. It makes one-handed browsing a breeze, has a great look, and comes with some neat features, but misses out on most of the fancy Opera extras. It could be a good main browser or a good alternative browser for when you don’t have enough hands. Why would anyone use any Opera browser – it is owned by a Chinese Communist-aligned company with strong ties to the government. Why would you even begin to trust them? Technically, Opera is still headquartered and developed in Norway and is therefore subject to European privacy laws. Fair enough point, though! China doesn’t have the greatest reputation when it comes to digital privacy and using any Chinese or China-linked product, whether a smartphone, an app, or a browser, comes with potential risk. 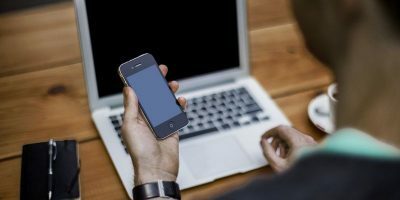 The same generally goes for using any Google/Facebook product or service; if you want them to find out things about you, it’s best to steer clear. For the security/privacy-conscious, Firefox and Brave are great options!